It's the week before Valentine's! I'll be featuring some red, pink, and other Valentine's appropriate and inspired polishes. 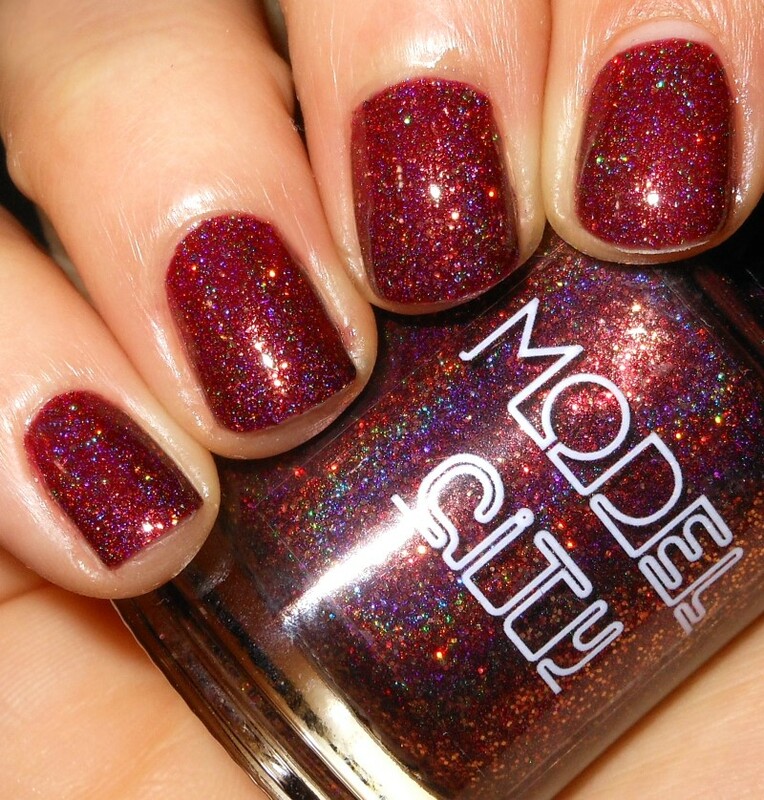 Today, I have a new to me brand to share with you today, Model City Polish. The brand has always been on my radar, but it was one of those brands I just never got around to purchasing. When I saw Model City's fall collection I knew that "never got around to" business would have to end. I picked up this one from that collection. Fall In Love is a dark wine jelly filled with holographic pigment and gold ultra holo glitter. 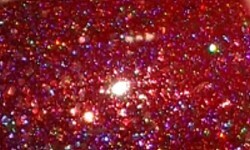 Color: This is a gorgeous holo! I love this wine colored shade it's the perfect deep red with a hint of purple. What makes this polish for me is that gold ultra holo glitter. I love it when gold glitter or shimmer is added to anything. I especially love gold holo glitter which I rarely see! Thank you Model City! Formula: This has an excellent formula. This was a two coater and applied smoothly. Price: This is $11.00 on Model City's etsy site. Overall: Fall in Love is a beautiful and unique polish. I love the shade of red of this polish, the holographic effect, and of course the gold ulta holo glitter. This is a stunner and this is definitely a brand I will be repurchasing from!